Felix tends the fire for our chicken dinner. Fleeing the wrath of Hurricane Odile, I am back in San Clemente. My journey is on hold. The storm has created a good swell for the surfers. The competition is on. I spend my days on the beach watching the competitors ride waves many times their size. The quickly paddle then stand up and ride down the face of the wave. They race along dodging the break. They fly off the top of wave crests like skateboarders in a half pipe. Surfing is an intense and fascinating sport as fun to watch as participate. The campground here allows hiker/bikers to stay one night only. Odile is currently devastating Cabo San Lucas. I must wait for it to pass. 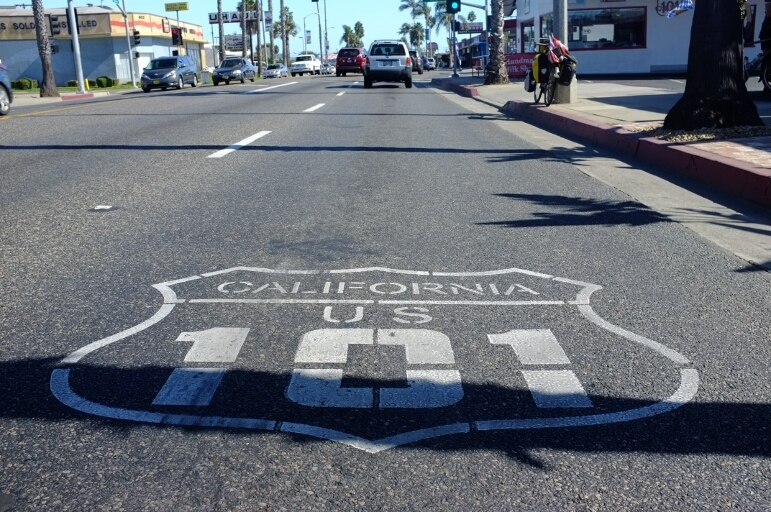 If it wipes out the road – and there is only one down the peninsula – I must reroute to the mainland. Due to the campgrounds policy, under the cover of darkness I sneak in each night. Spending multiple days in the same campground, I discover other cyclist on similar trips to my own. This is how I met Felix. Felix and his friend Lucas flew to San Fransisco, CA and are riding to Puebla. Puebla is a Mexican city just south of Mexico City. Lucas has been unable to keep pace with Felix so he rode on without him. Lucas offers up a toast! Prost! as they say in German. Lucas arrived the day after Felix and the three of us are enjoying ourselves. 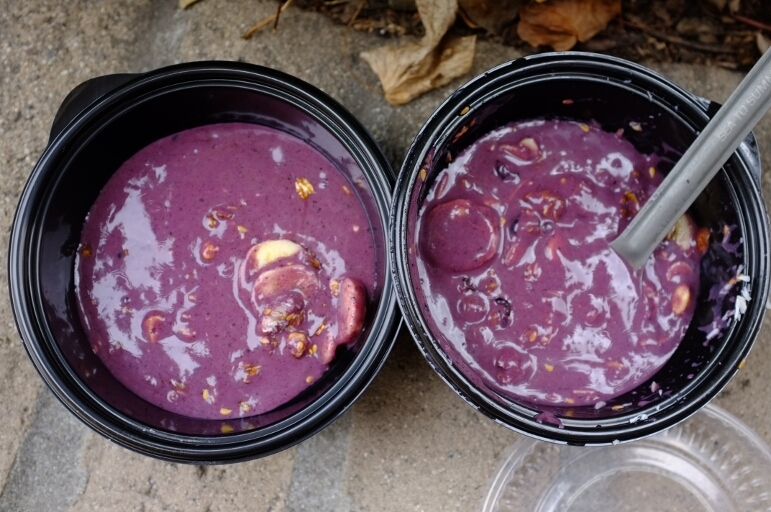 We explore the small city and meet many natives including Jeff Reed. Jeff is homeless. He spends his time interviewing travelers for his YouTube Channel: RoadWarriers360. Our interviews should appear in the next year or two he says! One night for dinner we get fancy. 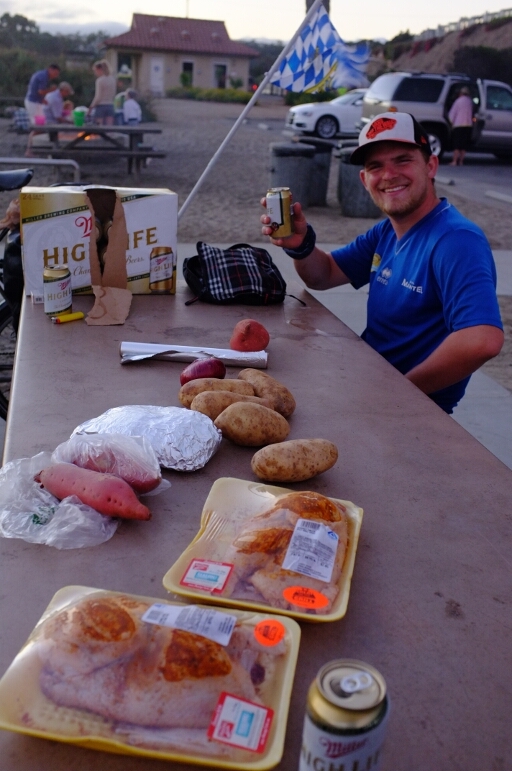 We purchase three half chickens, potatoes, and sweet potatoes and roast them in a fire on the beach. We also purchased a case of beer to wash down this feast. 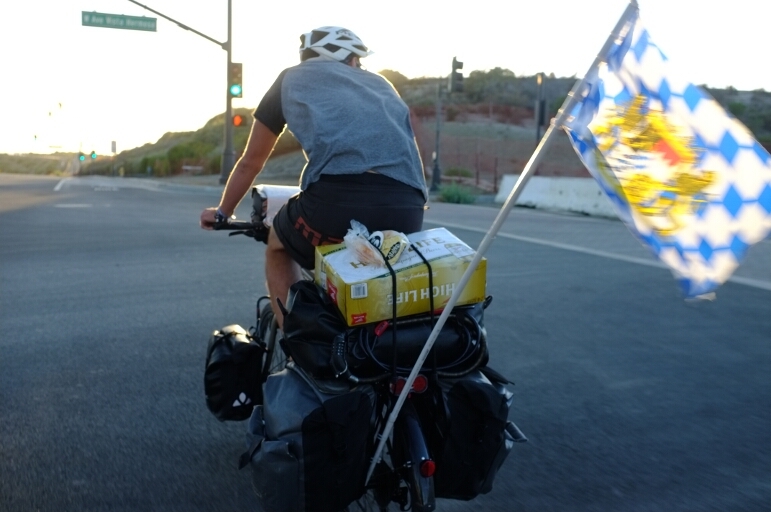 We made for an interesting sight transporting the food, beer, and bag of charcoal strapped to the back of our bikes. 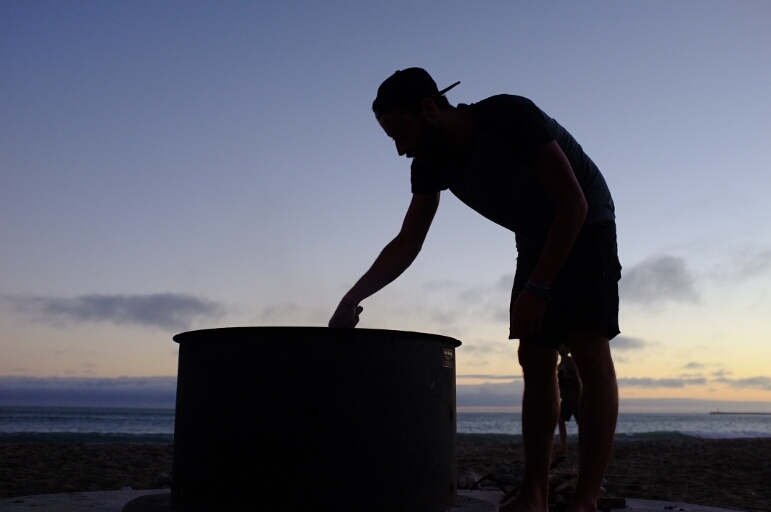 We cooked at sunset near our campground. The meal was SOO good! Yesterday, I discovered that my Brooks saddle is malfunctioning. The tensioning pin that tightens the leather seized up. I spoke to a local bike shop who is attempting to contact a Brooks Representative. I am also having more trouble with my shoes. In LA, REI replaced them. Now, the ratchet that serves as the shoes laces has come loose. I am glad these problems have arisen prior to crossing the border. We will be here in San Clemente for at least one more night waiting to hear from the bike shop. Then, Felix and I head south for the border. Lucas will stay another night. He has decided to quite riding and continue on backpacker style. This reminds me of an old video game. Is it need for speed? No, Cruisin USA! 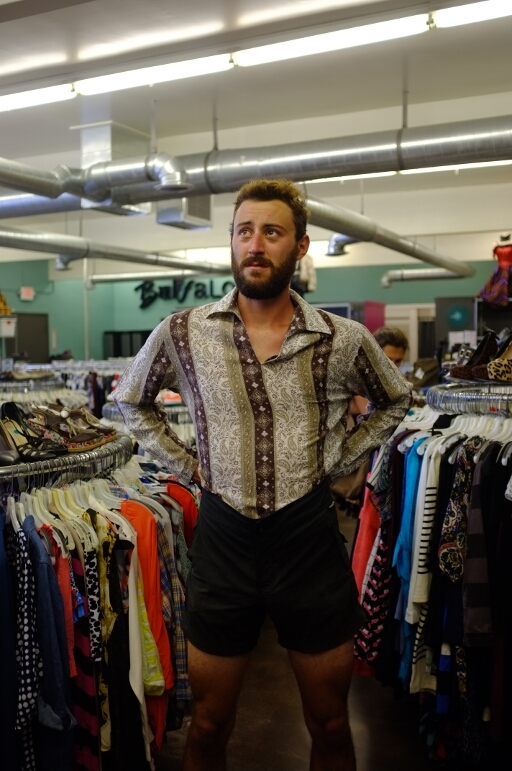 Felix modles outfits in a thrift store in Southern California. Carrying beer for our feast. This meal comes courtesy of a local. Thanks! 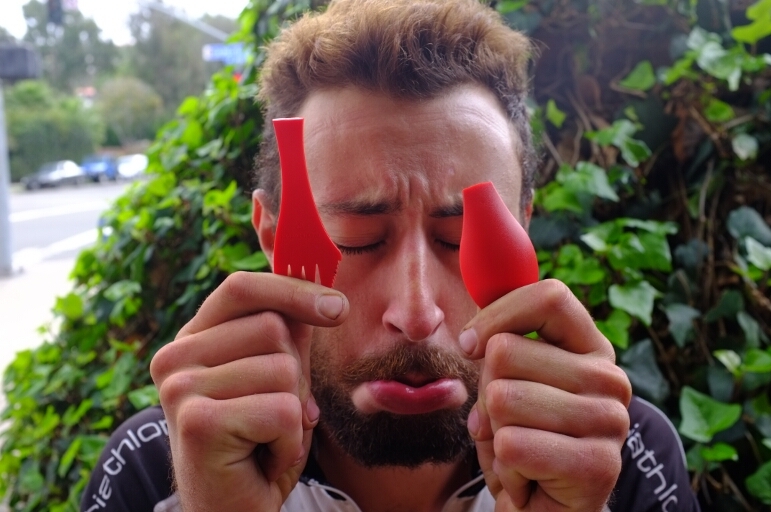 Felix mourns the loss of his spoon/fork. Thanks! The people are truley the best part of my travels.